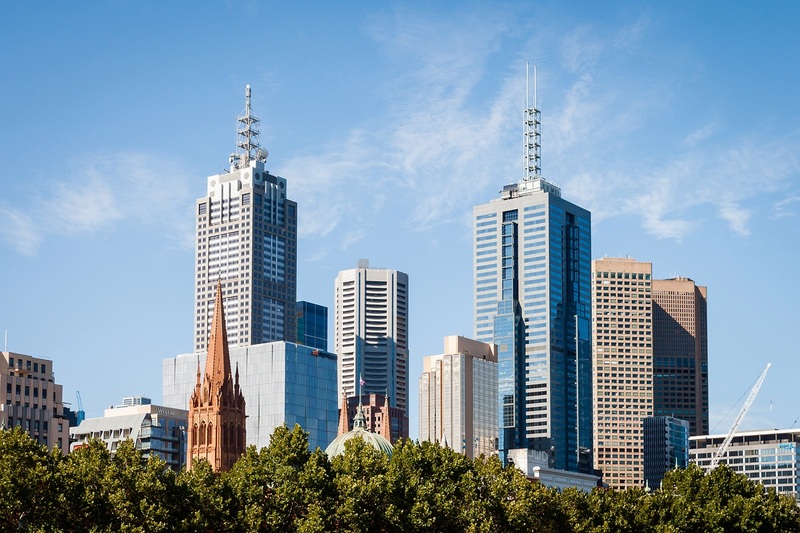 With the Melbourne property market cooling down over the past year, you might be wondering whether it’s time to purchase a house. 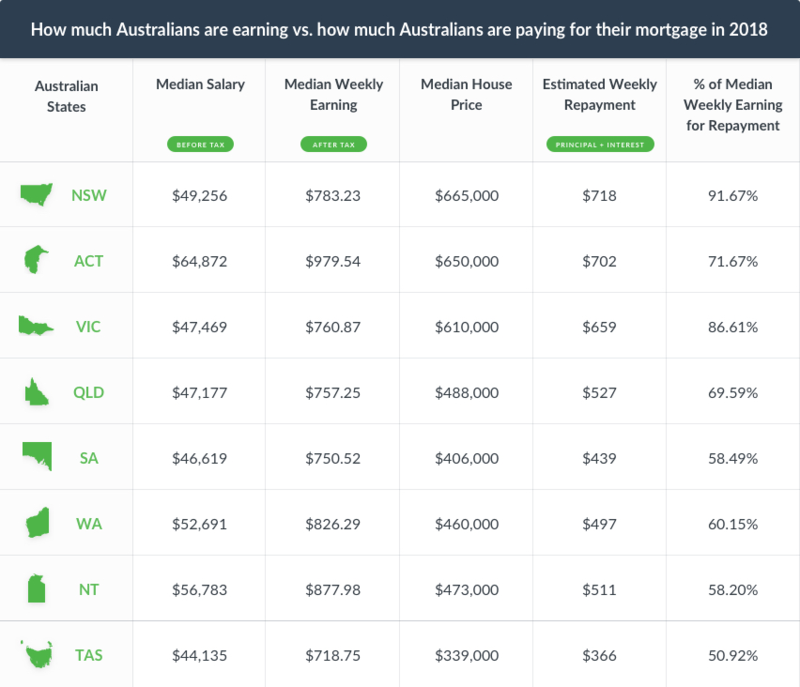 Based on new insight into housing affordability across Australia, an individual earning the average salary in Victoria would have to put the majority of their income towards mortgage repayments to afford an average priced house. 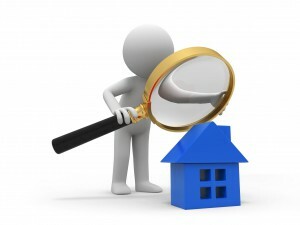 So, what income do you need in order to comfortably afford a house in Melbourne or across Victoria? At $610,000, Victoria has one of the highest median house prices in Australia. In order to afford a median priced house, you would have to pay about $659 in mortgage repayments every week. 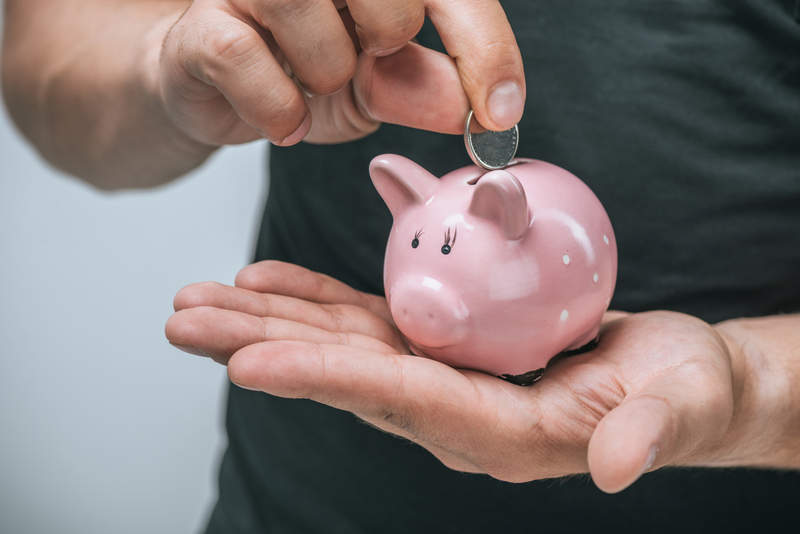 This amount is based on a 30 year mortgage at the current Australian Standard Variable Rate of 5.05%, after a 20% deposit has been deducted. 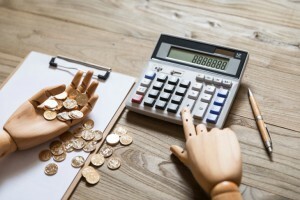 The median weekly earning for Victorians is only a fraction higher, about $760.87, based on the median salary from the Australian Bureau of Statistics. This would mean 86.61% of an average person’s income would be going to mortgage repayments if they were to buy an average house. An individual spending any more than 30% of their weekly earning on home loan repayments is considered to be under mortgage stress. Hence, you’d have to make $66,758 more than the median salary, over double, to comfortably afford a median priced house in Victoria. This works out to be a taxable income of $114,227 a year or 2196.67 a week. For those wanting to buy a house in the city, you have to be prepared to pay significantly more in mortgage repayments compared to those buying in regional Victoria. 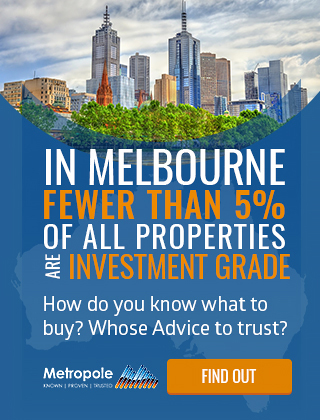 The median house price in Melbourne is considerably higher than the median price across the state. Currently, it is at $720,000, making it $110,000 more than the state average. The estimated weekly repayments for a median priced house based on the same calculations would work out to be about $778. The median salary for those living in Melbourne is hardly higher than the median salary across the state, $48,878 rather than $47,469. For the average individual to afford the capital city prices, they would have to put almost their entire income, 99.88%, towards mortgage repayments. 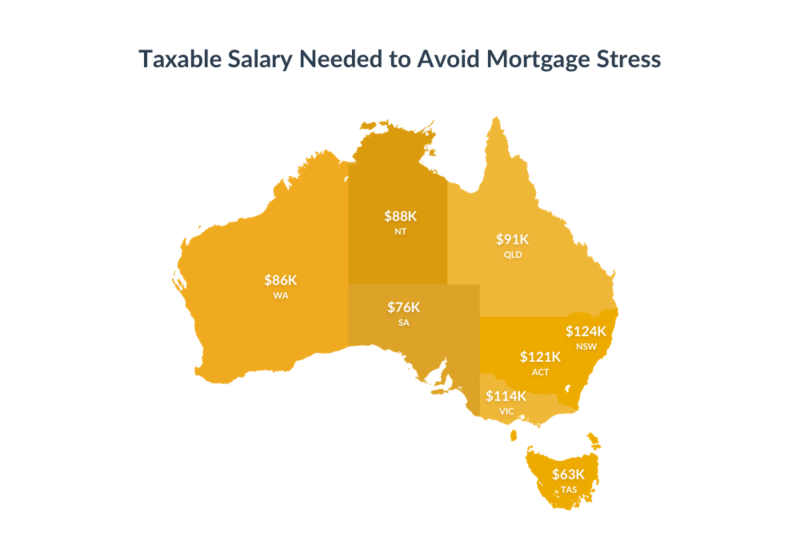 In order to avoid mortgage stress, an individual looking to buy in Melbourne would have to be making a taxable income of $134,832. This works out to be $85,946 or almost 3 times more than the current median salary in Melbourne. 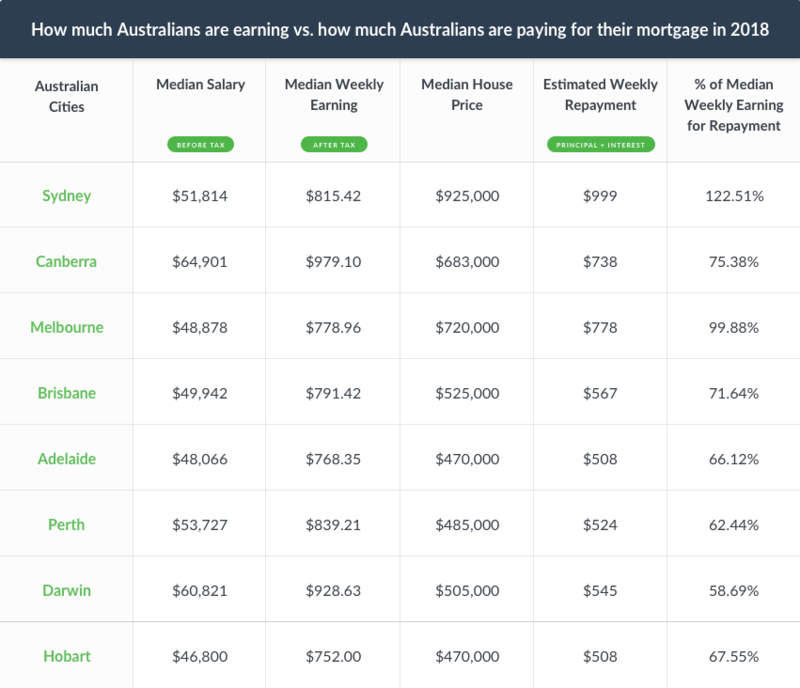 Essentially, if you’re looking to sustainably afford a median priced house in Melbourne, you’d have to be making significantly above the median salary or have a partner who also earns a good income. 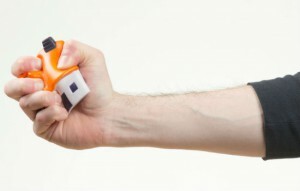 Research commissioned by Roy Morgan last year revealed almost a million mortgage holders in Australia experience mortgage stress. 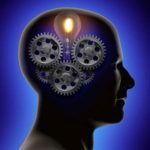 Hence, though it wouldn’t be ideal, it also wouldn’t be unusual for you to consider putting more than 30% of your income towards mortgage repayments. 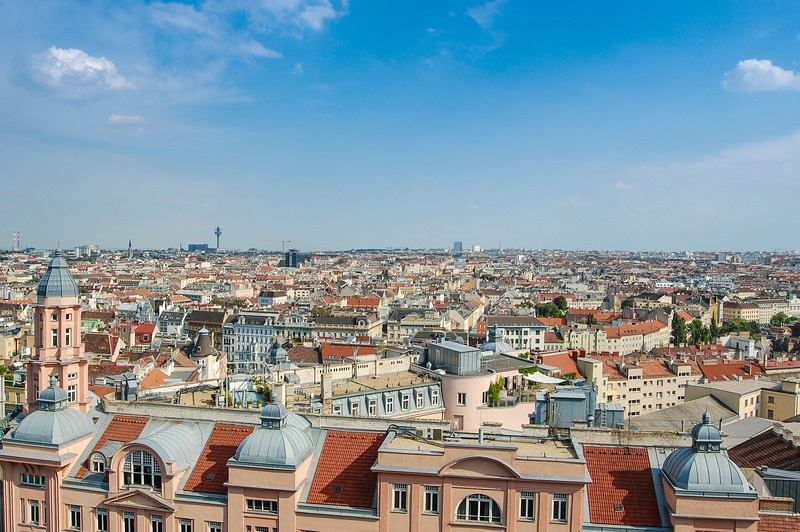 It will pay off in the long run as long as you buy an A-grade home or an investment grade property in Melbourne rather than buying cheap secondary properties.